Executive Car Service is the most requested airport transportation and shuttle company in Owings Mills Maryland. 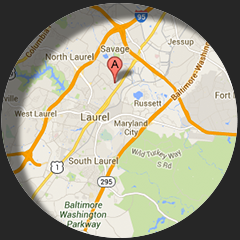 We are dependable, prompt, and our rates normally beats most filthy and smelly Owings Mills taxi. The vehicles in our fleet are clean late model sedans that are frequently serviced and all our drivers go through a rigorous screening to ensure your safety and peace of mind. If you need a ride to/from BWI, Dulles, Reagan or Philadelphia Airport, don't hesitate to make an online reservation on this secured site today. It's as easy as 1,2,3. Owings Mills is the home of the Baltimore Ravens, and as such a lot of fans utilize our sedan services to go to football games for a reasonable flat rate fare. We also offer affordable hourly car service transportation services that are designed for individuals; families and friends who want to go on a night out for a few hours. Our professional and friendly drivers are ready to drive you anywhere in the Baltimore/Washington metro areas; including to/from all the area airports, train stations, cruise ship terminals and other areas in-between. Just book your ride online today, or call the amazing customer service specialists at 410-975-8200 to reserve your car now. Don't wait. Have a safe and wonderful ride.